Mike Austin of Diversified Tooling Group writes about Hot Stamping in the latest issue of the Stamping Journal, He highlights the many ways that hot forming is so much more complex than conventional cold stamping. Just one: Problems from friction appear differently in hot stamping- because there is a different root cause, there is a different corrective action. 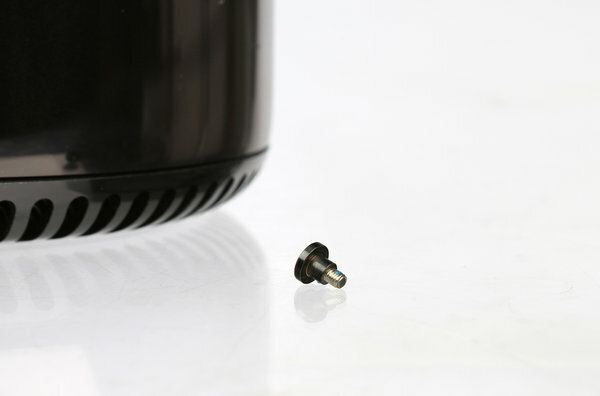 Free flow of metal into the cavity minimizes friction, but the critical cooling rate is difficult to achieve uniformly across the part without intimate contact with water cooled dies. By 2022, the World Economic Forum forecasts 75 million manufacturing-related job losses globally, but there will be 133 million new jobs available to those with proper skills. 54% of employees at large companies need significant re-training and up-skilling for these jobs. Urgent challenges for businesses and policymakers include providing reskilling opportunities, enabling remote work and building safety nets to protect at-risk workers and communities. ​Sheet aluminium producers have created proprietary alloys that fall into the 5XXX and 6XXX families. Each family shares similar characteristics, but each alloy retains unique features. For example, AA6022 has the strength of AA6111 and the formability of AA6016A, but may be more costly since the low copper and low iron requirements make it difficult to produce from recycled stock. Certain alloys may be available only from specific companies, which may be marketed under trademarked names – such as Advanz (Novelis), Superlite (Aleris), or Surfalex (Constellium). Read more about Aluminum Alloys at Aluminium Insider. 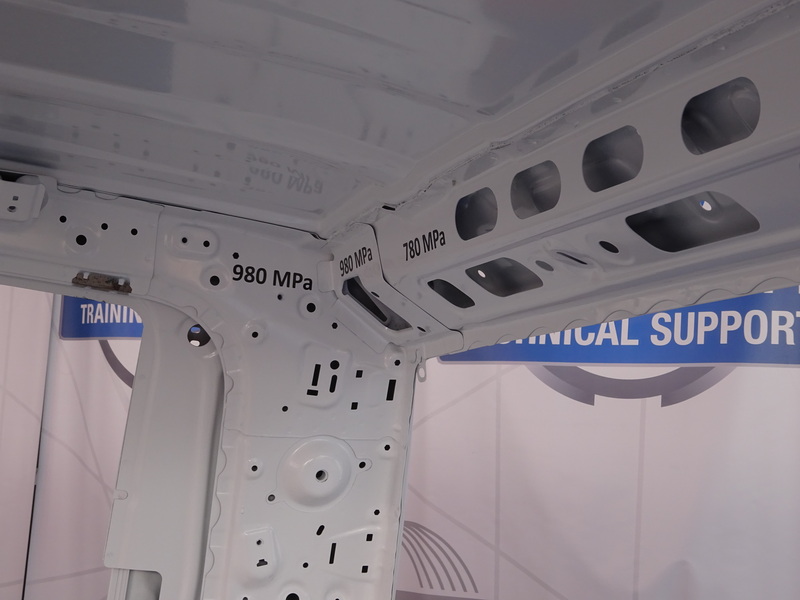 ​An article containing information about advanced high strength steel content in 2019/2020 vehicles also has photos taken at I-CAR’s booth at SEMA 2018. These photos highlight sections of the 2019 Silverado body, with several of the parts labeled with strength levels and grade. You can see that GMs strategy on their new truck is to use 6XXX aluminum on the door skin paired with 5XXX for the inner. You can also see some of the parts where they use up to 1500 MPa steel. See the slideshow at the bottom of article from Repairer Driven News . ​​High volume low margin production goes to low cost countries. Equipment and skills available in US transition to higher margin value-added production. Even if manufacturers want to move production back to the US, investment in automation and appropriate talent is needed – and that’s not necessarily quick to pull off. Read more about the prospects of Apple manufacturing in the US in an article from the NY Times. ​​SpaceX will use 3XX stainless steel for their Starship and Super Heavy rocket booster due to better performance compared with carbon fiber over the spectrum of operating temperatures and conditions encountered. @ElonMusk shows he has more than just a passing awareness of materials and manufacturing in his recent interview with @PopMech. In it, Musk describes how material selection affects stiffness, fracture toughness, and of course cost. He talks about a novel approach to cooling the metal surface by transpiration, where cryogenic fuel evaporates after seeping through micro-pores in the outer layer of a double-walled shell. Novel in aerospace, that is. The evaporation of water from plant leaves is another example of transpiration. The interview is in Popular Mechanics. ​​In the case of electrical steels, thinner sheets improves motor efficiency – crucial to meet the needs of hybrid/electric vehicles. But more laminations need to be stamped from this thinner metal to get to the same stator height. An article from steelmaker voestalpine says that at least 60 additional high-precision stamping lines/presses will be needed by 2025 for production of 25 million drive motors with a lamination thickness of 0.25 mm rather than the current 0.35 mm. Not highlighted in the article is the likelihood of a greater cost per ton to produce this value added product at a thinner gauge. ​​Read more from voestalpine here. Servo press selection and usage articles are curated into a Top 10 list at Metal Forming Magazine. These articles will take you through the justification process by highlighting their benefits and what these presses offer above and beyond flywheel-driven presses. In addition to the potential for increased throughput, optimizing forming velocity during the press stroke helps reduce heat build-up, lube burn-off, and minimize die wear. Read more about servo presses at MetalForming Magazine. In the 4th Quarter of 2018, we at 4M and EQS sent out a newsletter covering info related to the sheet metal forming industries. Topics in this recent newsletter included material selection strategies at automakers, friction stir welding, servo presses, Tesla build quality, and laser blanking. If you want to get on the distribution list of future issues, please sign up on the EQS website. This is Danny Schaeffler, and I want to welcome you to the (re)inaugural Newsletter from Engineering Quality Solutions and 4M Partners! In these mailings, I’ll be highlighting the latest news that I think that sheet metal users and producers will find interesting and informative. We do want to hear from you – if there are topics you want to know more about, just let me know. I’ll see what I can find and report back to everyone in a future issue. I might even include the information in the “Knowledge Base” section of www.EQSgroup.com! Know anyone who might enjoy this newsletter? Please do forward this on to them! They can get on the mailing list here. It’s our intention to send out a newsletter around 4 to 6 times a year. Finally, if you’d prefer these newsletters to go to a different email address (or you’d prefer not to receive it at all), please let me know. Automakers need to consider strength, stiffness, manufacturing, weight, and cost – and many more characteristics – when choosing between sheet steel and aluminum alloys for their body structure. Steelmakers and aluminum producers are eager to help: 2 tons of sheetmetal are purchased for 17 million vehicles sold each year in the US – there is no other industry with such high-volume sales opportunities. Read my article in the May 2018 issue of MetalForming Magazine! Friction Stir Dovetailing developed by Pacific Northwest National Laboratory joins thick plates of aluminum to steel through a combination of mechanical interlocking and metallurgical bonding formed during a single process. See the article here and see a video of the process here. SET-Chicago to start laser blanking in 2019: SET Enterprises orders laser blanking line from Schuler Group for exposed/unexposed automotive stampings. 3 laser heads to cut blank shapes with straight line cutting speeds >100 m/min from a 60 m/min moving coil. Press release. XL Specialized Trailers switched to HSLA steel and saved 1100 pounds (20%) from their frame on their heavy-haul trailer. No design changes needed, just steel grade substitution. Article. Chris is also speaking at the MetalForming Magazine “Lubrication Technology for Metalformers” conference in February. He’ll highlight the importance of selecting the right lube for each type of sheet metal. Conference. 183 new North American automotive vehicle launches from 2016-2018 is forecast to decrease to 155 new vehicles between 2019-2021 [from Harbour Results]. Considering each new launch comes with a price tag of close to $1BB to the automaker, there is still significant spending going on, However, with 10 fewer launches per year, and $150MM or so in stamping tools per launch, that’s roughly $1.5BB fewer dollars being spent in the tooling industry each year. There are only 35 high end Schuler servo stamping presses in auto manufacturing worldwide and the one at Tesla is the first one in the US. The equipment has allowed Tesla to form unique parts, like the Model 3 front fender, which engineers say has greater depth in a single piece of stamped steel than any other fender in production. Tesla chose to build a factory to handle all of its seat production, making it unique in an industry where its competitors all outsource seats. This is a good article highlighting manufacturing of the Model 3.. Speaking of Tesla, they are taking steps to improve their build quality. There is a recently issued patent describing a new type of clamping assembly method that allows some flexibility between panels during manufacturing. Article. Danny Schaeffler supports automotive and non-automotive OEMs and their stamping supply chain, as well as steel and aluminum producers and their service centers. His 30-year career has focused on materials selection and optimization, tooling buyoff, field formability analyses, manufacturing process improvement, and cost savings/cost avoidance projects. Whether you need problem solving, hands-on analysis, or materials guidance through EQS or training and professional development through 4M, be sure to contact Danny with your sheet metal forming challenges! The “Top 5 in 365” list of the five most-popular stamping related articles on www.thefabricator.com is out, and 4M is on it! If you don’t think you can justify sensors, my recommendation is to track coil-by-coil performance [bad AND good] to see effect of metal props. You might find that success is a function of more than just YTE or hardness. Sensors like tonnage monitors will help focus corrective actions. The ​​Nissan assembly plant in ​Smyrna, TN makes 640,000 vehicles a year, and it’s stamping plant supports production of 1.2 million vehicles. The stamping plant goes through 375 tons of steel and 14 tons of aluminum every day.